Digital transformation isn’t just for enterprises. 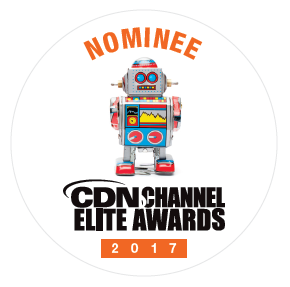 As Microsoft solution provider and CDN Channel Elite Award nominee New Signature demonstrates, some of the companies that stand to benefit the most from digital transformation operate in smaller-scale, traditional industries. Take the example of a central Florida-based renovator and builder of commercial buildings that, according to New Signature, aimed to be a modern company in a traditional industry but was facing roadblocks preventing them from elevating their operations. Fortunately for them, New Signature, specializes in helping businesses improve their customer service through the deployment of full-service Microsoft solutions, including cloud services, infrastructure management, and the Internet of Things (IoT). The construction firm was having difficulty monitoring unauthorized site visitors and ensuring that workers were using safety equipment properly. To solve its problem, New Signature built a prototype RFID (radio-frequency identification) reader for Winter Park, procured the appropriate RFID tags, and connected the company’s data streams to the Microsoft Azure IoT hub. Once the construction company’s data was streaming to the cloud, New Signature then built an architecture of supporting Azure IoT services allowing company staff to stream, analyze, store, and visualize the data. The system also sends real-time text and email alerts to worksite operators. The information received from the alerts helps the construction firm identify whether anyone on-site has authorized access or not, and ensures that those who are authorized are following appropriate safety regulations by tracking their personal protective equipment. The company has even used its new system to optimize the number of sub-contractors needed to finish a specific job, and by monitoring safety equipment, has saved money on violation fines. This mix of modernized business operations and actionable intelligence is helping the construction firm transition from manual processes to digital ones, ensuring future operational efficiency and giving it a competitive advantage in the large-scale construction industry.